The month-long Diffusion festival brings photography from around the world to venues across Cardiff. Over 60 photographers are having their work displayed in Cardiff for the third Diffusion international photography festival. In Farewell Rock, Hilary Powell captures the last miners at a Swansea valley drift mine. Here Keith 'Gilbert' Edwards and David 'Dai' Hooper. On show at Boundary Art in Havannah Street. New commissions, recent works and archive collections are among the exhibitions at galleries and pop-up venues across Cardiff. 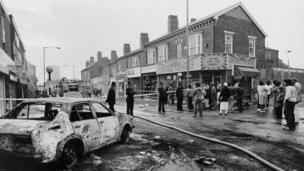 Vanley Burke documented protest in 1970s and '80s Birmingham, including Disturbance in Lozells, an inner city district between Aston and Handsworth. Burke has been called the 'godfather of Black British photography.' No Time for Flowers is on show at Mermaid Quay. 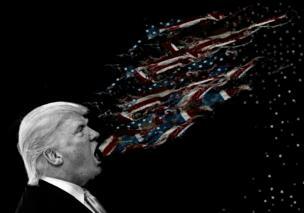 Trump by Kennardphillipps. 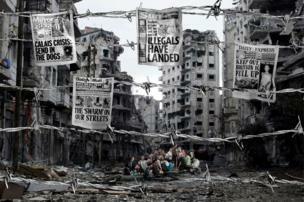 The artists deconstruct news images and text using everyday materials, photomontage and text. Issues include migration and capitalism. Belgian photographer Marc Wendelski has documented environmental activists in Germany, protesting against mining expansion in the Hambach region. Beyond the Forest is on show at the Duke Street Arcade. Kathmandu Girl is an exhibition by German artist Catrine Val exploring womanhood in it all its diversity. It is on show at House of Fraser in St Mary Street. 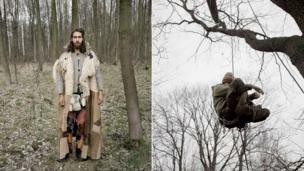 Tatiana Vinogradova’s Days of Melancholy is a series focusing on the life of gay people in Russia. On show at The Angel in Castle Street. Caesura by Demetris Koilalous, showing at Wales Millennium Centre. On 1 August 2016, 118 people were rescued from a rubber boat drifting in the Mediterranean Sea off the Libyan coast. 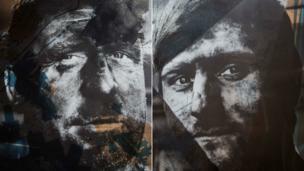 Portraits were taken and are now part of Passengers, showing at Boundary Art in Havannah Street. 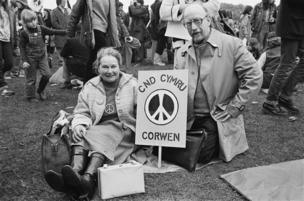 Protesters from north Wales at a CND rally in Hyde Park, London in 1981. Edward Barber's Peace Signs, which documented anti-nuclear protests in the early 1980s. On show at The 'Stute in St David's House, Wood Street. 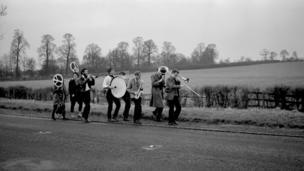 Welsh photographer Robert Smith is showing his work for the first time, after volunteering at the last Diffusion festival in 2015. He has researched the former nylon factory in Mamhilad near his home in Pontypool, and combines archive images with new photographs of the people who used to work there. 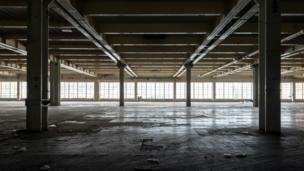 Smith's work hangs in a former munitions factory - the Sustainable Studio in Curran Road.